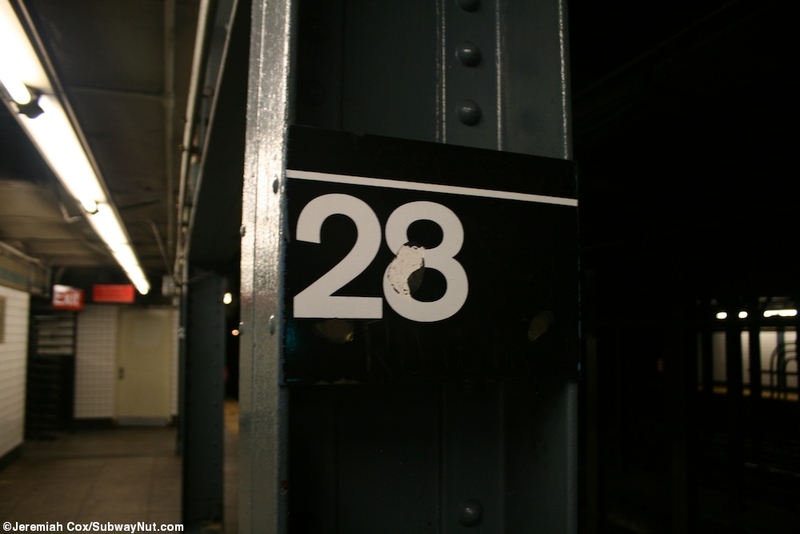 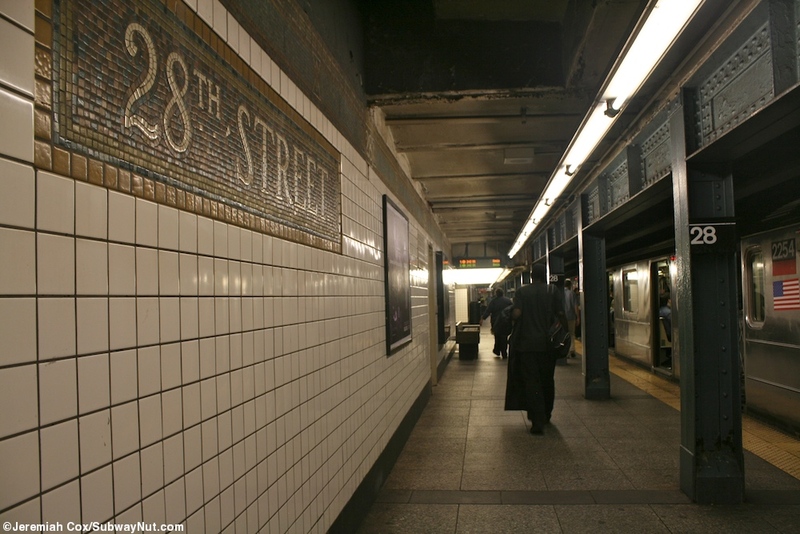 28 Street has two side platforms as a local stop and was renovated in the 1990s. 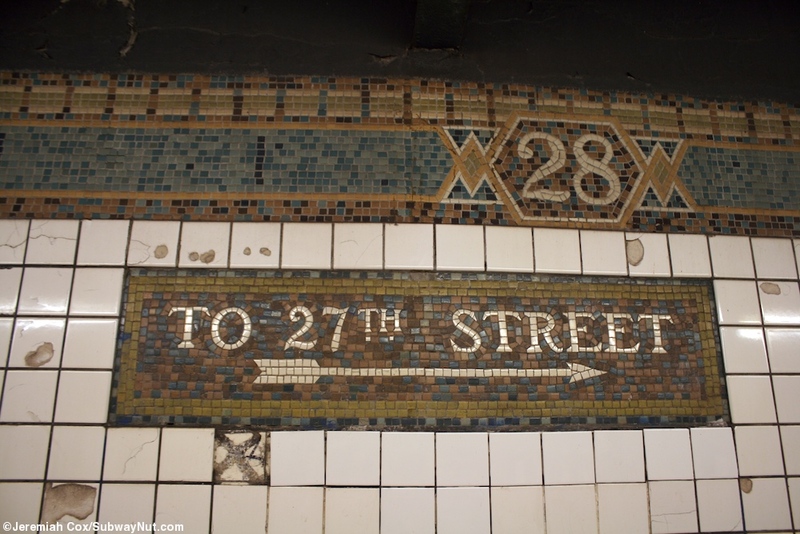 Most of the walls have their original dual-contracts era mosaics with brown and blues as the dominating colors. 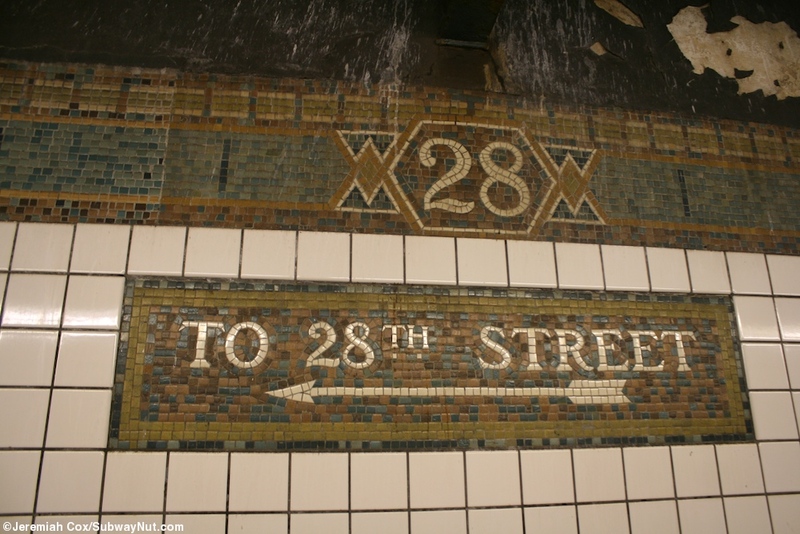 Name tablets spell out 28 Street and their little 28s in the frieze. 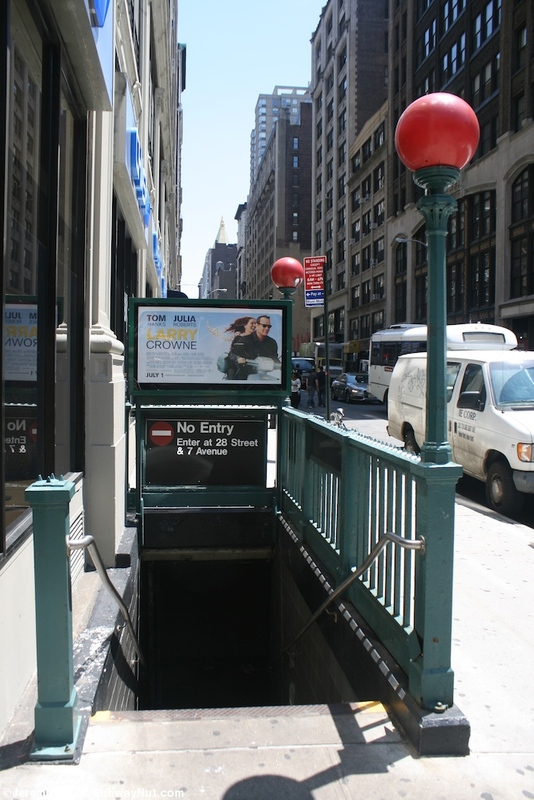 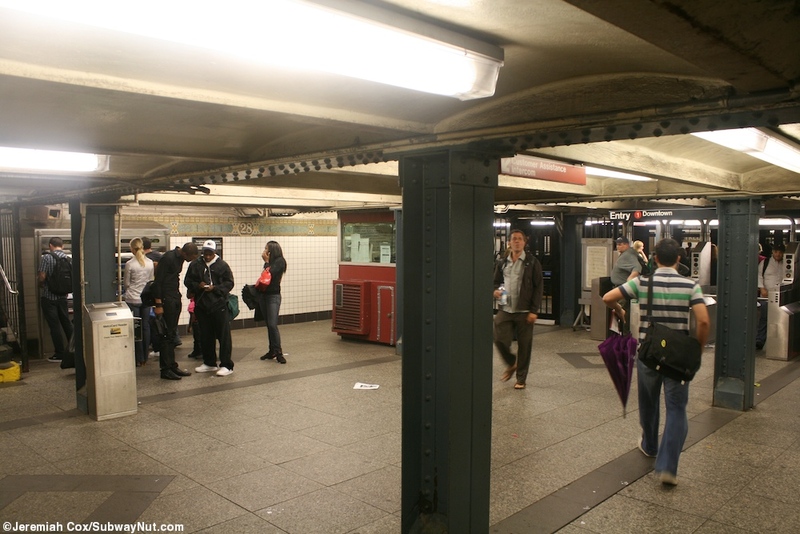 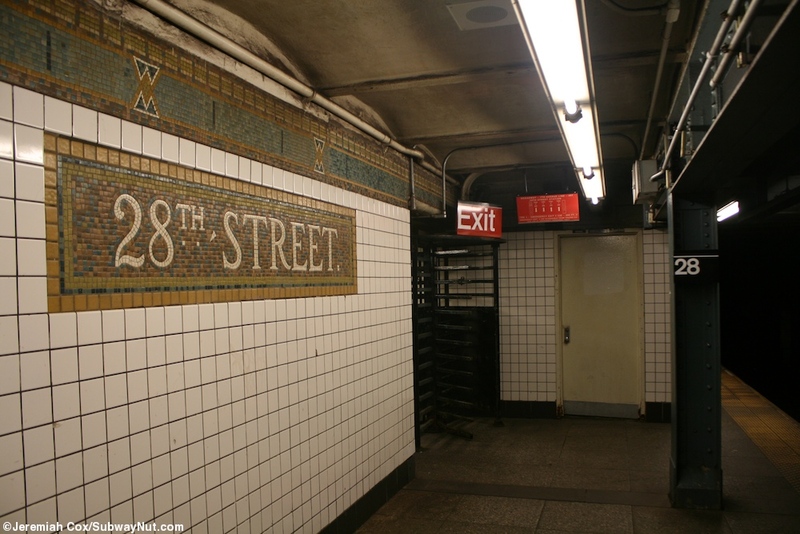 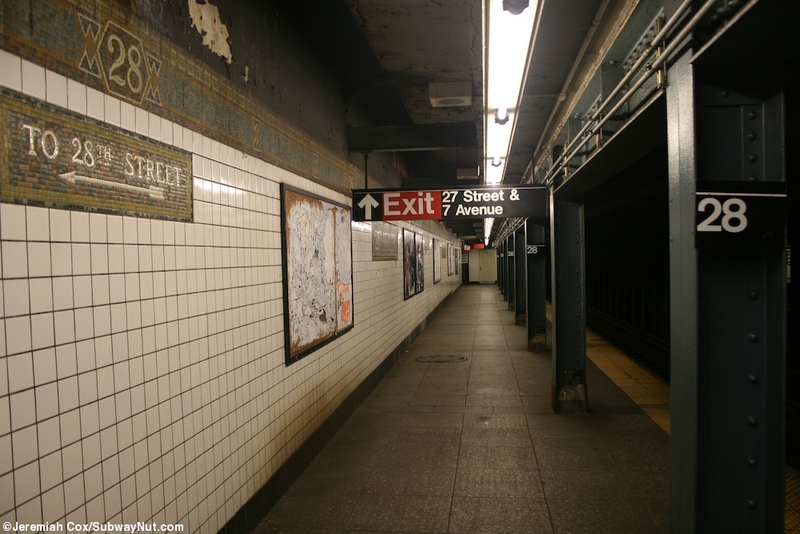 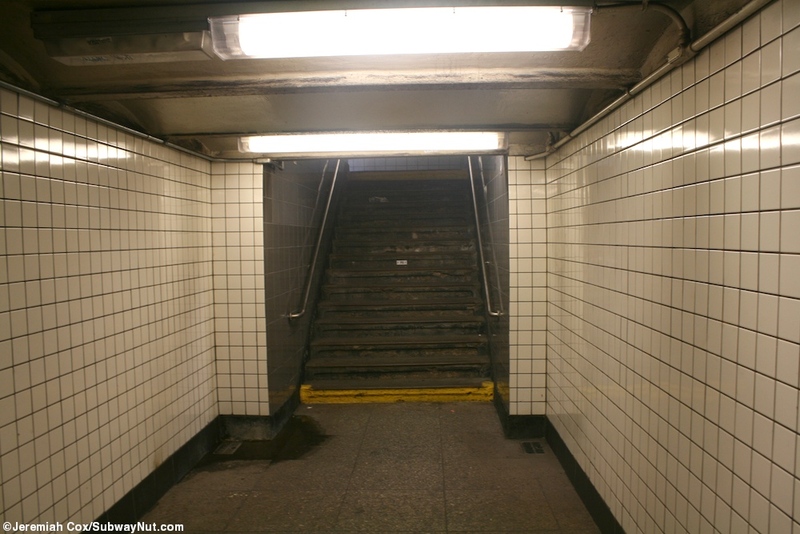 The stop has two exits, at the southern ends of each platform a high exit only turnstile leads up to a streetstair at NE for the uptown and SE for the downtown corners of 27 Street and 7 Avenue, right along side the Fashion Institute of Technology. 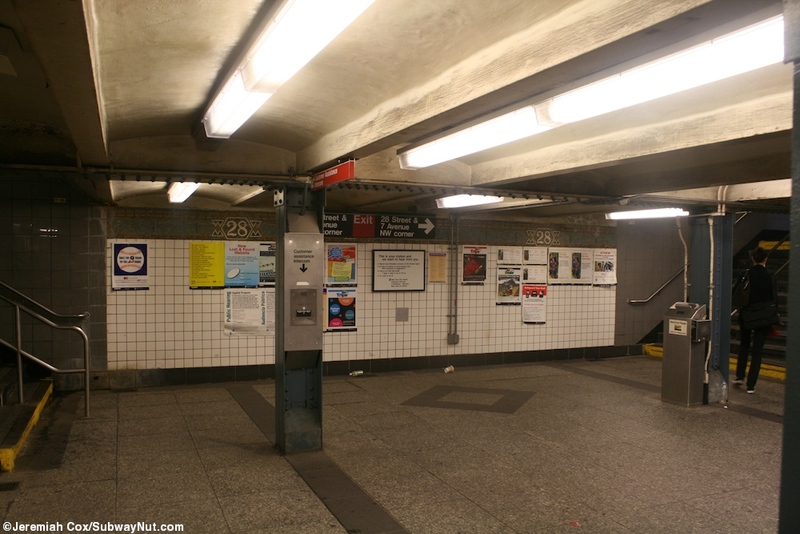 The main fare control areas are near the middle of each platform. 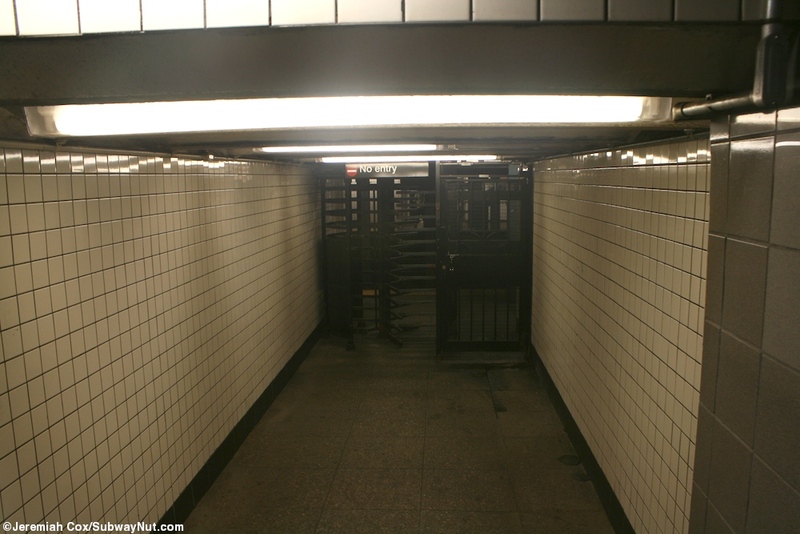 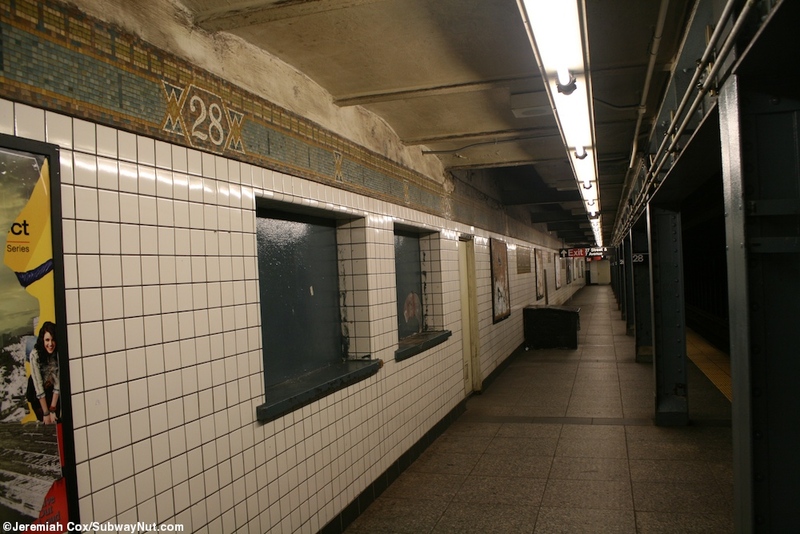 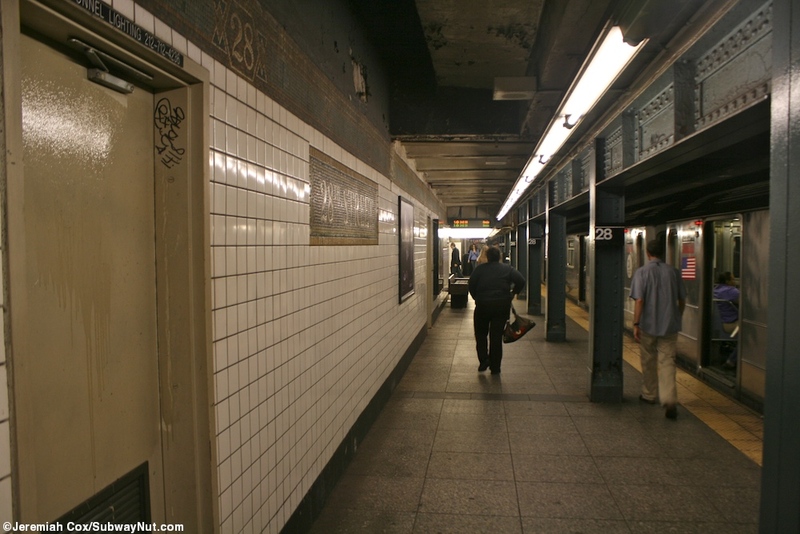 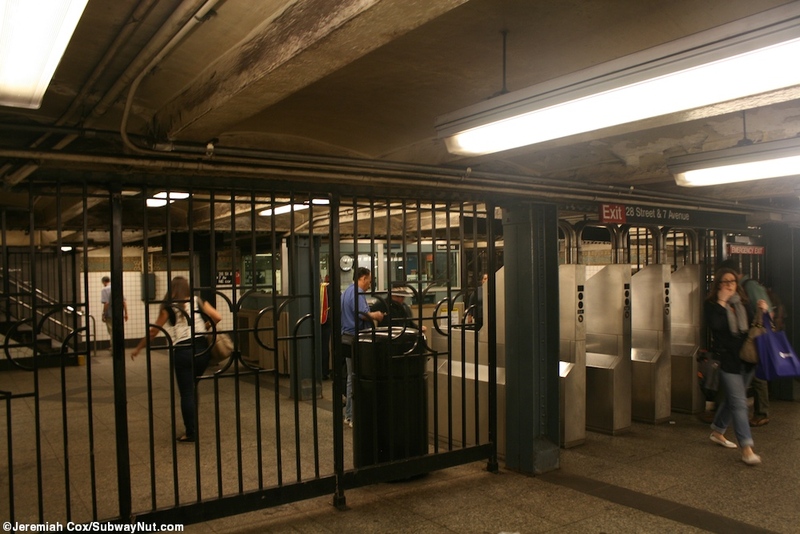 The uptown platform has still staffed turnstiles that lead up to streetstairs at the NE and SE corners, the downtown platform has now unstaffed turnstiles up to the NW and SW corners of 28 Street and 7 Avenue.